If you usually enjoy a drink or two, we understand that it can be frustrating to go tee-total if you’re pregnant, but this is the best and safest approach to adopt to ensure that your baby is safe from harm as it grows and develops. There is a common misconception and belief that there is a ‘safe’ amount of alcohol that can be consumed during pregnancy (a bit like drinking and driving). 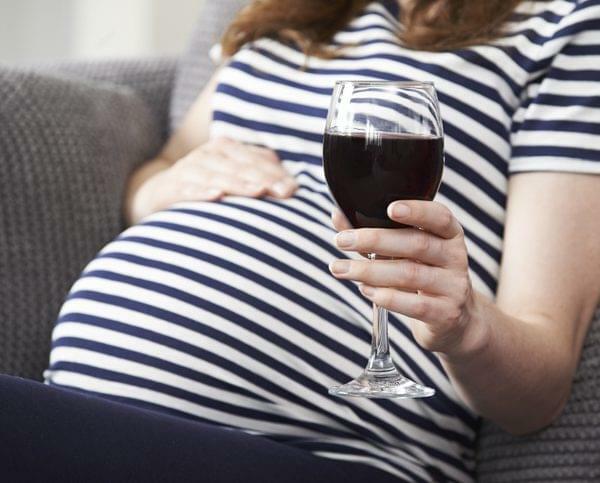 Expectant mothers should know that there is no ‘safe’ amount of alcohol that can be consumed during your pregnancy without inflicting damage to your baby’s development, so it is best to completely avoid drinking while you are expecting. For those that do decide to drink, it is strongly advised that you avoid alcohol in the first three months of your pregnancy. After this, you should strictly limit your intake to no more than a single unit once or twice a week. If you were drinking heavy amounts of alcohol before you realised you were pregnant, seek medical advice from a GP or midwife, especially if you are experiencing withdrawal symptoms from drinking excessively. This syndrome is relevant to babies born to mothers who consumed heavy amounts of alcohol during their pregnancy. Symptoms include growth deformities, heart problems, mental issues and development problems. 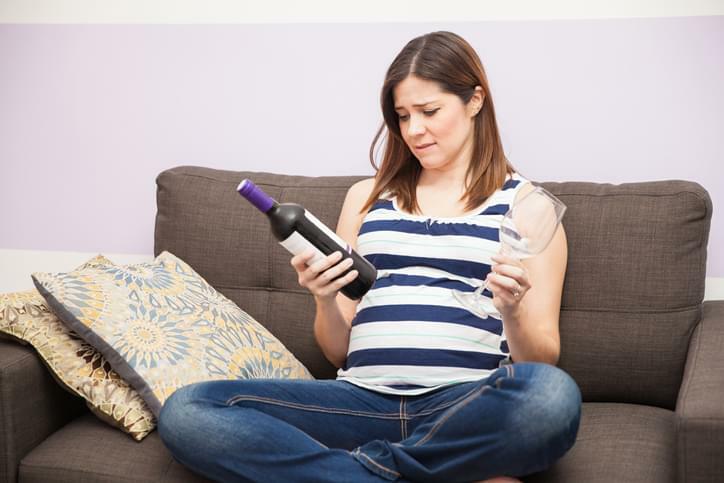 If you are finding it difficult to eliminate alcohol as a result of your pregnancy, you should not feel bad or guilty. We can help at Ocean Recovery if you require support in being tee-total during your pregnancy. We have a range of treatments available that can help those with alcohol dependency to get back on track to a life that isn’t dictated by thoughts of alcohol, which is especially important when you are expecting a baby. If you are pregnant and struggling to quit heavy drinking, you risk doing severe damage to your health and that of your unborn baby. Physical symptoms that can affect you include an increased risk of raised blood pressure, stroke, heart disease, diabetes and liver disease. Heavy drinking can also affect your mental health. You may experience mood swings, aggression, anxiety, depression and even suicidal feelings if you are becoming highly reliant on alcohol. As a result, relationships with loved ones can suffer, as well as your ability to do your job and carry out simple daily tasks. When you do not drink, you may experience sudden side effects which can become debilitating. These will vary from person to person, and some people may not experience any at all, but most commonly reported is violent shaking, raised temperature, feeling sick, hallucinations, feeling disorientated, fitting and sweating. Psychologically, you may experience feelings of irritation, low mood and restlessness, with a strong desire to consume alcohol. If this applies to you, get in touh with us at Ocean Recovery. A first immediate step is to try and reduce the amount of alcohol you are consuming. You can do this by taking breaks from drinking, which will lower your risk of dependency and also help the damage done to your unborn baby. Other ways you can cut out alcohol while pregnant include exercising mindfulness, taking up a hobby (such as a gentle yoga class), going for a walk or doing exercise whenever you feel the need to drink, and talking to an organisation that can help put you back in control through speech therapy, such as Alcoholics Anonymous. If you think you might need help or rehabilitation for alcohol dependence or addiction while pregnant, contact us at Ocean Recovery. We want your rehab to be as comfortable and successful as possible. 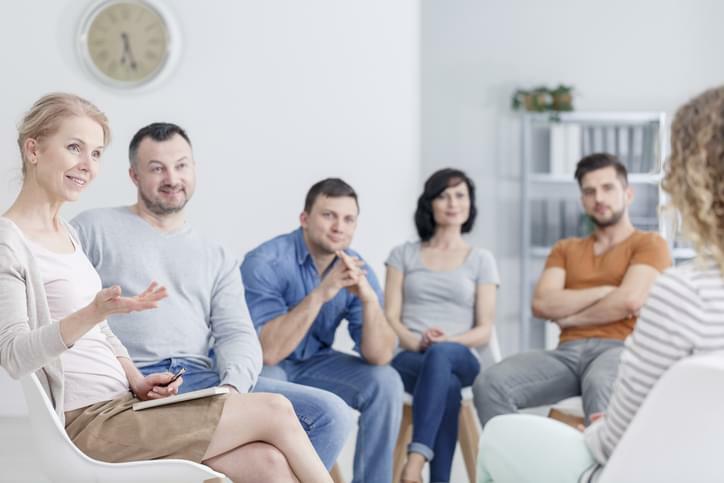 Our professional team are very experienced in planning detoxes that help and support those that want to emancipate themselves from alcohol problems. We can give you effective guidance through a bespoke programme that focuses on healing your body, mind and soul with holistic practices that help you to curb your cravings for drink. We encourage mindfulness activities such as meditation and counselling to re-adjust your mindset and help you focus on relaxation and recuperation without distractions. Anyone from any background can suffer from alcohol problems, but it is doubly important to tackle these if you are pregnant. At Ocean Recovery, we can help you live a life free from the oppression of alcohol issues and focus on a healthy pregnancy. We have a compassionate approach to every kind of addiction, and offer rehab treatments in luxury accommodation based in Blackpool, with beautiful vistas overlooking the sea and Blackpool Beach. We want your stay with us to be about relaxation, calm and comfort, and offer lots of therapies to help you on your journey and stay sober for good. Posted on Tuesday, January 22nd, 2019 at 9:47 am in Latest News.